It’s time for our monthly dose of drone related news! This time around, we won’t be giving you a short list of most popular drones during the first 2 weeks of this month. Honestly, there is not a lot of new drones just yet, but it seems to me there will be a storm by the end of this month when AirDog ADII finally hits the shelves. 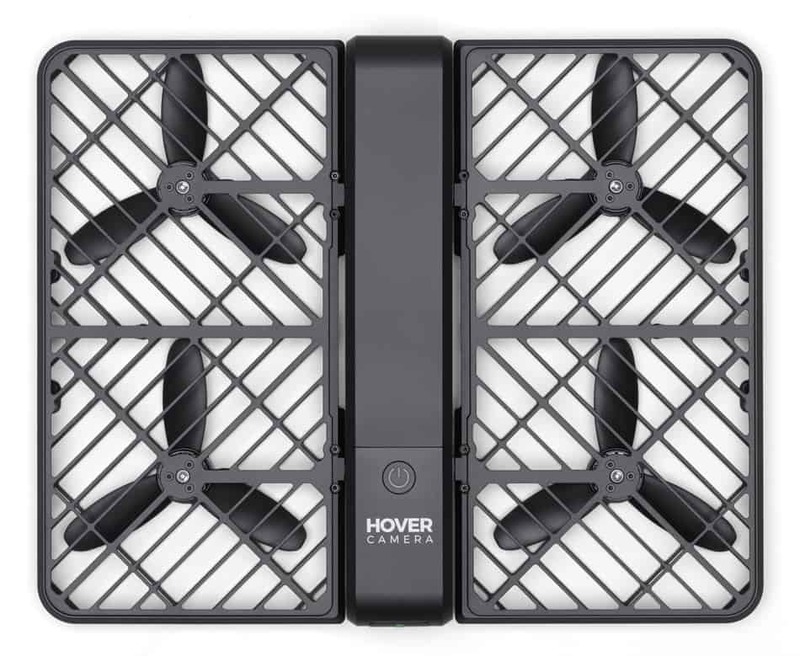 So, instead, we decided to take a closer look at a particularly interesting selfie drone called Hover Camera Passport. Judging by its popularity (partially driven by Unbox Therapy showcase), we just couldn’t bypass it… so, let’s see what’s this high-end selfie drone capable and how well does it justify its relatively big price tag ! Even though the biggest numbers are being crunched in the premium drones section, there a lot of stuff going on in terms of foldables too. You see, ever since the likes of Zerotech Dobby and Wingsland S6 started rising from the dirt, a proper craze for selfie drones has successfully developed… With it, a brand new term – Dronie. You’ve guessed it – its a selfie taken with a drone. why do people love selfie drones so much? Well, here’s a counter question – Why do people love selfies that much? Well, apart from the obvious, selfies have become somewhat of a social standard, especially for social media celebrities who are leading the charge. In other words, as long as there are plenty of popular social media platform, both selfies and selfie drones will keep on gaining popularity and making a killing profit. And it was about damn time… Hover Camera Passport is now finally available for purchasing via Amazon, world’s biggest online marketplace. At the moment, you can find it for roughly $500 which, truth be told, might seem expensive at first glance. However, once you take a closer look at everything this drone has to offer, rest assured the price will seem more than justified at that point. So, to summarize – if you want the best deal and safest transaction, make sure you get Hover Camera Passport straight off of Amazon! For those of you who consider selfie drones to be a new term, I believe you will be quite surprised when I inform you that they do not sport breathtaking operating ranges. Most of the time, you will be looking at a number below 50 meters. That’s the case with Hover Camera Passport too. It can reach only approximately 20 meters… which is still enough for snapping awesome selfies. Flight duration is looking sharp! Battery, on the other hand, is suprisingly good. As the title above suggests, flight duration is looking quite sharp, reaching up to 10 minutes of precise hovering. Needless to say, this is thanks to the propriatary 2S 1360mAh LiPo battery that weighs only 71 gram. For contrast, the entire drone weighs 242 grams with the camera popped in. So, with all that said, there is no doubt that Hover Camera Passport can deliver at least when it comes to airtime. As far as the camera is concerned, you can rest assured that the Hover Camera Passport will not dissapppoint you by any means. That’s becuase it sports a built-in miniature CMOS sensor with 13 effective megapixels. Plus, this little camera is tiltable to a certain degree, allowing you to set up the optimal selfie angle with ease. As far as the details go, Hover Camera Passport’s camera can record 4K videos at 30fps in .mp4 format. Furthermore, the maximum image size is 4208×3120. We are talking about a 1/3.06-inch CMOS Sensor with 78.4-degree field of view. Not exactly wide angle, but I suppose most people prefer it this way for the sole purpose of distortion-free selfies. And when it comes to selfies, this camera is nothing short of spectacular. 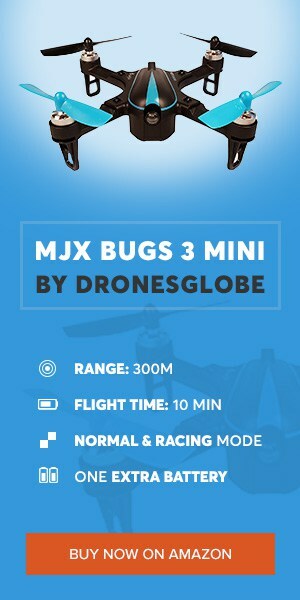 Thanks to features such as facial recognition and orbiting, you will enjoy autonomous flying experience allowing you to take the perfect stance for the upcoming shot. Once you see it in action, there’s no doubt it will blow you away! In addition to everything that has been stated above, there is one more awesome thing about Hover Camera Passport – the design. You see, this mini drone is built out of carbon fiber and sports a fully enclosed design which makes it pretty much crashproof. You can even go ahead and slap it while it’s flying and it will not hurt you or items nearby… except perhaps knock them off if they’re lightweight. Plus, this birdie is foldable !